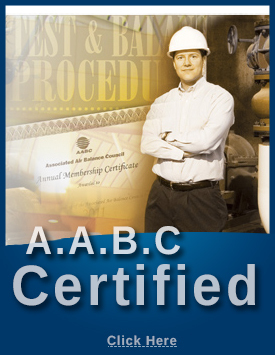 We are an independent AABC certified test and balance company. We are qualified to do test and balance all types of commercial applications. 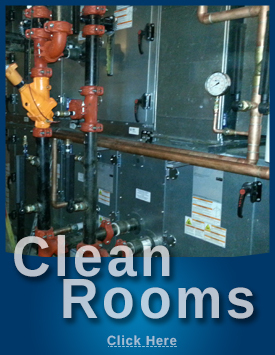 Some examples include: Clean rooms class 1000 and up, hospitals and operating rooms, office buildings, restaurants, industrial complexes and nuclear power plants. 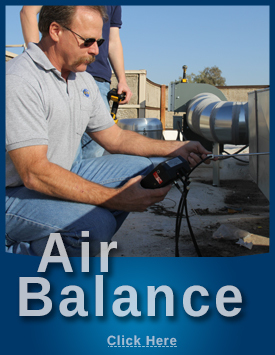 An example of the equipment that we air balance range from air handlers, make up air fans, outside air fans, exhaust fans of all types, building pressurization, water pumps, chillers, heat coils and boilers. Copyright © 2014 ETB Arizona, Inc. (all rights reserved). Designed by Websites Beyond.com | A Phoenix Web Design Company.